26841 Church Street Edwardsburg, MI. | MLS# 17033855 | Waterfront, Residential and Vacant Land Properties for Sale in Cass County, including Cassopolis, Edwardsburg, Union, Dowagiac, Marcellus and More! 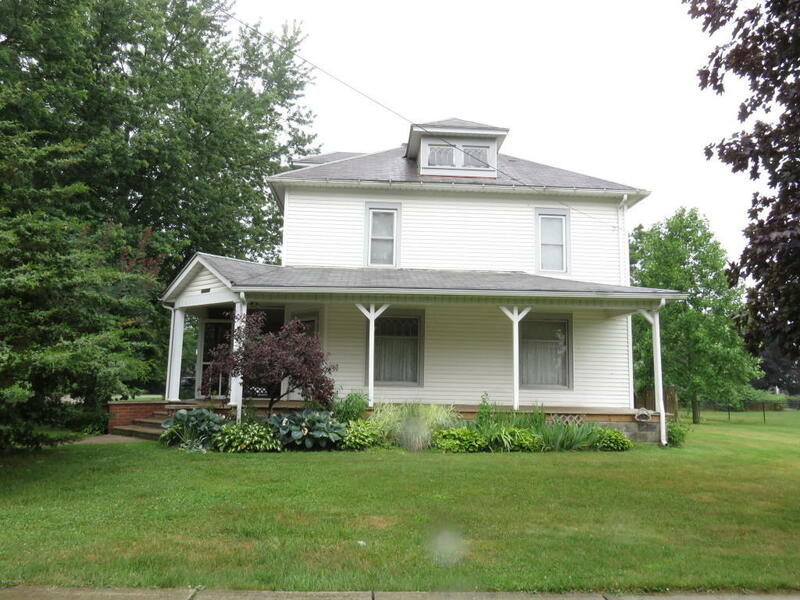 Well maintained Edwardsburg home in the village. Yellow Pine original Woodwork all natural stained not often do you see original woodwork in a home. Solid Wood doors. Large Kitchen eating area and formal dining room. Most all the windows have been replaced. The decorative windows in living room were saved to maintain the character of this 1912 home. Nice size bedrooms with large closets. Full bath on each level. Large attic could be another finished area. Oversized detached 2 stall garage. Screened porch for those nights you want to enjoy outdoors bug free. This home has so much to offer for the price and walking distance to school for all those extra school activities. This property is owned by the Church and has been exempt from property taxes new taxes will be after sale.